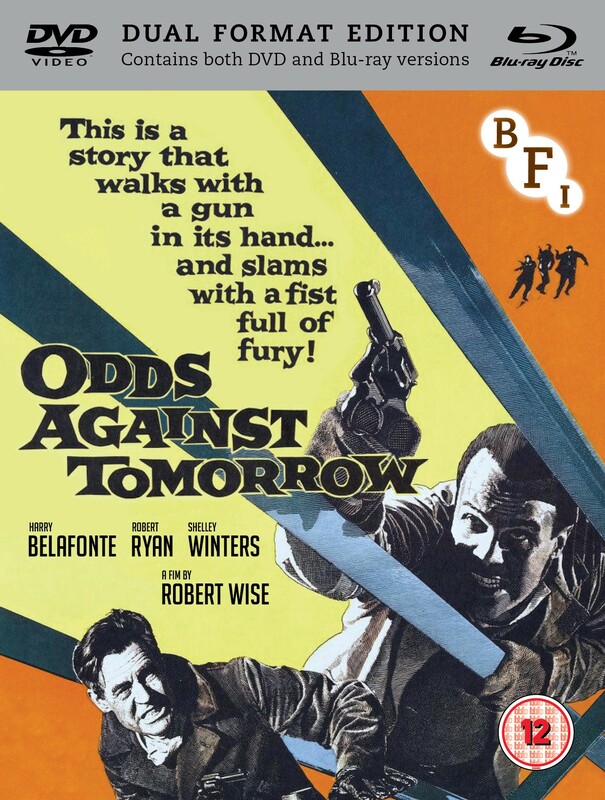 Considered by many to be the last of the true 40s and 50s film noirs, Odds Against Tomorrow is the story of a daring robbery gone wrong. When ruthless killer Eric Slater (Robert Ryan) teams up with crooked ex-cop Dave Burke (Ed Begley), and gambler Johnny Ingram (Harry Belafonte) to rob a New York bank, things quickly start to wrong. Fuelled by his racist hatred, Eric continually clashes with Johnny resulting in the heist quickly spiralling out of control. With the escalating tension comes increasing violence as Slater’s prejudice drives both him and Ingram to the very edge. With its dark jazz score and brooding atmosphere Odds Against Tomorrow represents one of the most important films about race and racism, and was directed by 4 time Oscar winner Robert Wise (The Sound of Music, West Side Story).